Fishing reels are the workhorses for the job of an angler, whether recreational or professional. A reel has many moving parts that need to work in unison to effectively and smoothly operate from bail springs to the main gears. There is a difference between a fishing reel working and a fishing reel lasting. The saltwater environment is highly corrosive and can destroy a reel if not properly maintained, hence the reason why care and proper servicing are the key to increasing a reel’s longevity. After spending a day on the water, whether beach, boat, or jetty, the environment exposes the fishing reel to salt spray, sand, and grime. A freshwater wash is essential to remove all of the contaminants from the reel’s outer parts. The inner parts of the reel are hopefully protected by reel grease or some other lubrication. A common mistake by novice angler’s is to wash the fishing reels with soapy water which cleans the reel, but unfortunately will help to break down and destroy the oil and grease meant to protect the reel. I have found that a gentle, but thorough freshwater soaking will adequately remove almost 100% of the salty grime. Follow this up by a quick spray of reel oil which will help displace any remaining water and further protect the reel. Pure Fishing’s Penn Reel oil is an excellent choice for this added protection. In the offseason or just prior to use, make sure you pack the insides of the reel with a fair amount of reel grease which will form a barrier to saltwater intrusion. This helps protect and prevent further corrosion as long as the reel is not washed with soap. At the end of the season, either Do-It-Yourself or have the reel properly services by a local tackle dealer. Most tackle shops will indicate which reels they service and always use a reputable shop. Reel Manufacturers have become more cost-efficient in some areas of reel production, which can lead to issues for long-term durability based on the materials and alloys used. Even though they may be marketed as “saltwater reels”, certain alloy used will actually break down quickly when exposed in to the saltwater environment. I have seen firsthand gears crumble due to poor or cheap materials. It is best to talk to your local shop about the quality and durability of a prospective reel. 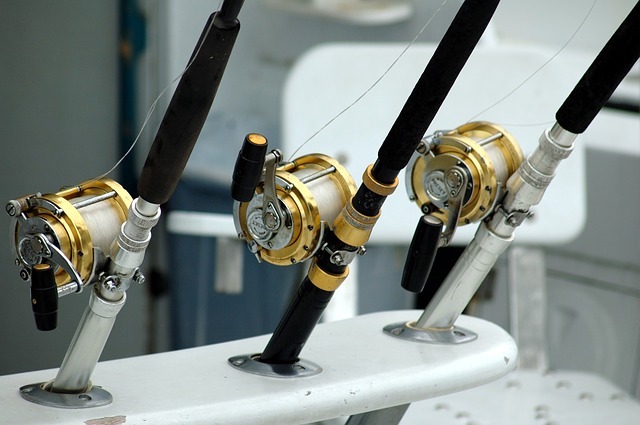 Fishing reels are a considerable investment, so be sure to take care of them by preventative maintenance and a little extra TLC. As the owner and operator of a charter fishing business, I service over 75 reels every offseason to keep them in tip-top shape so that my client’s have good results when we are on the water. Trust me, a little goes a long way.